From left: Thomas Lin, Natalie Wolchover, John Rennie, Kevin Hartnett and Robbert Dijkgraaf. Why doesn’t our universe make sense? What is time? What is life? On Friday, more than 200 readers joined writers and editors from Quanta Magazine at the Simons Foundation for a wide-ranging panel discussion that examined the newest ideas in fundamental physics, biology and mathematics research, including the questions of whether our universe is “natural,” the nature of time, the origin and evolution of life, whether mathematics is invented or discovered and what role it plays in science and society. 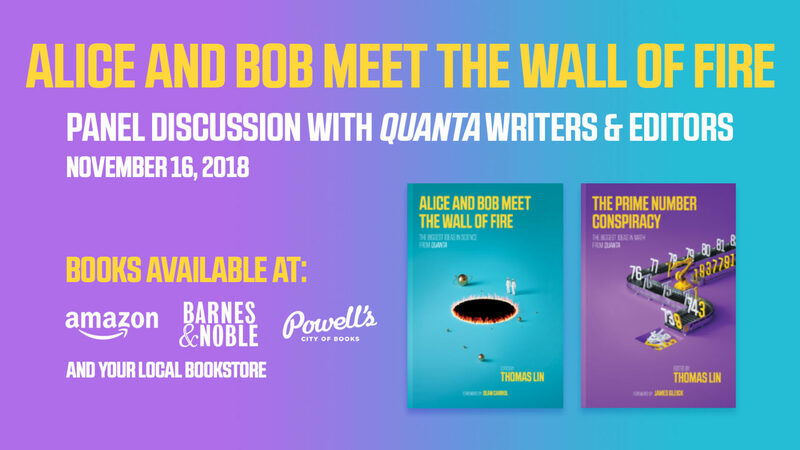 These are just some of the topics presented in Quanta’s two new books published by The MIT Press: Alice and Bob Meet the Wall of Fire and The Prime Number Conspiracy. 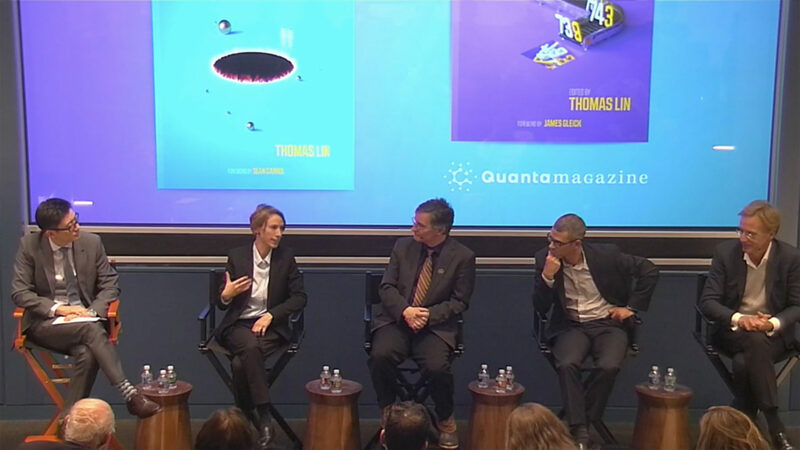 Video: On November 16, more than 200 readers joined writers and editors from Quanta Magazine for a panel discussion exploring the latest ideas in fundamental physics, biology and mathematics research.